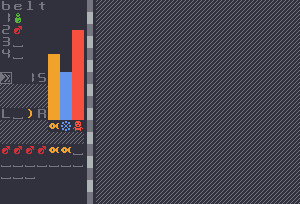 I got started on a small Roguelike today. Got the basics of the UI sorted out. And now just need to figure out what else needs to go into the UI space. Once I have it doing thing's I'll link it here. That looks pretty cool already, keep it up, I wanna play that. I entirely forgot to post my updates here. Second day I got map generation started and working, and some debug camera movement. 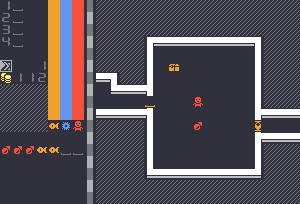 Fourth day I added weapons and Line of Sight, as well as multiple levels to the dungeon. Fifth day I did some bug fixes, didnt have much time to do anything. 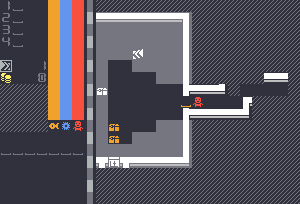 Seventh day I added mimics, death, and a tiny manual. And I'll try to remember to update people here if I keep working on it. Pretty cool screenshots. Keep up the good work and keep us posted!